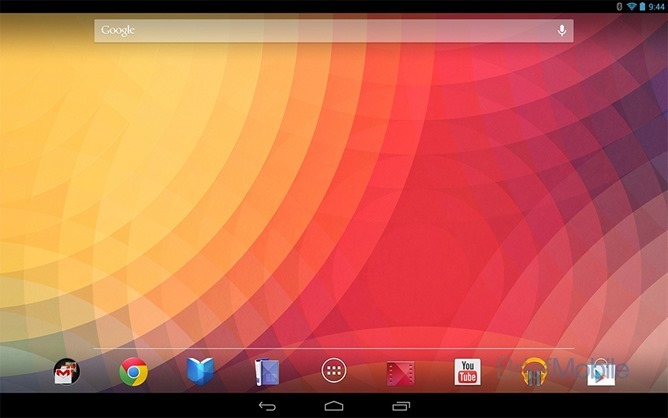 Yesterday my colleague and fellow Android fanatic David Ruddock took a long look at what was revealed in the leaked Nexus 10 images, examining what will almost certainly be the Android tablet interface for Jelly Bean 4.2. I have a lot of respect for David, but in this case I think he's wrong. And since there's little doubt at this point that the Samsung Nexus 10 will have the same basic UI structure as the Nexus 7, I'll go so far as to say that Google is wrong too. Having used my fair share of Honeycomb and Ice Cream Sandwich tablets, I've come to love the user interface, which puts both navigation, status and settings all along the bottom bar. Not only is it an efficient use of screen real estate, it's well suited to devices that are primarily used with the thumb and forefinger: when you're using a 10" tablet with two hands, or even a 7" with only one, all of the controls that aren't contained within an app are literally at your fingertips. I've never liked the way that the Nexus 7 separates system functions, forcing you to use two hands when it might not otherwise be necessary. It's great on a smartphone, where your thumb can cover pretty much everything, but on a tablet, it doesn't feel natural to me. And yet the Nexus 7, and soon the Nexus 10, use this "blown up smartphone" approach, presumably after Google looked long and hard at the ICS UI and found it wanting. 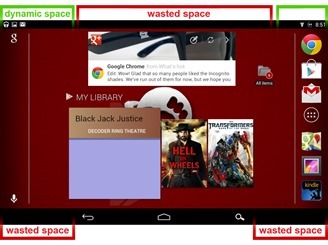 The reasons for the change on the Nexus 7 were clear: Google positioned it as an entertainment device from the very start, and has done well out of it. I was upset at this direction, mostly because it capitulated to the prevailing idea that tablets are consumption devices and nothing else. Make no mistake: tablets are primarily consumption devices, but they have the potential to be so much more. The slate tablet has exploded into the marketplace because (keyboard issues notwithstanding) it's an incredibly natural way to interact with digital content, and hardware and software has finally reached a point that it's both technologically and economically sound. But people still see tablets as the device that you have fun with, toys for consuming written words and videos, and little else. 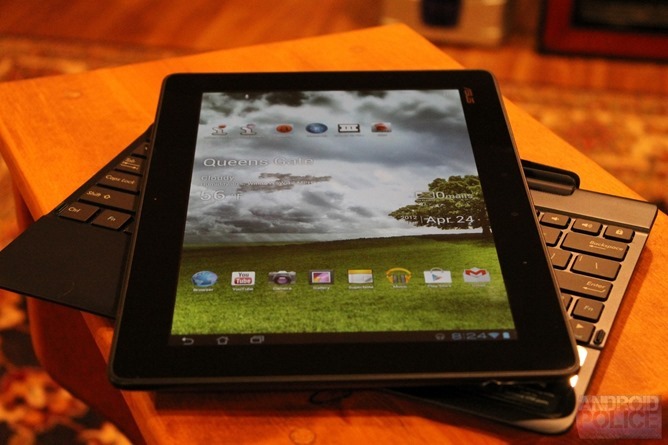 The potential is there; many a developer has tried to unlock the creative capabilities in mobile software, and hardware vendors like Asus (with the Transformer line) and Samsung (with the underwhelming Galaxy Note 10.1) want people to use tablets as the primary tool for digital interaction. 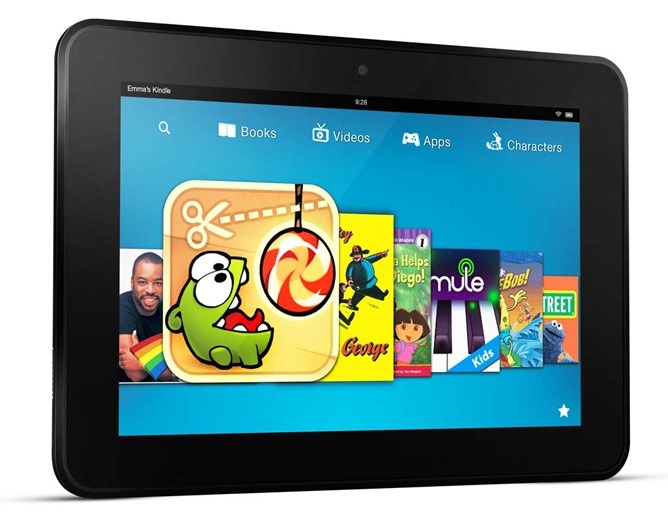 As well as some of these have worked, the prevailing use for tablets among consumers on both the high end (the iPad and a few struggling Android tablets) and the low end (Nexus 7, Kindle Fire and the Nook) has been for entertainment. When rumors of the iPad finally began gaining validity in 2010, I was actually excited: I thought Apple would be bringing its OSX platform to the slate, with much more thought than Microsoft ever gave to "tablet PCs." When it turned out that the iPad was just "a giant iPhone", I was disappointed, and that disappointment has continued to keep me away from iOS as a whole. 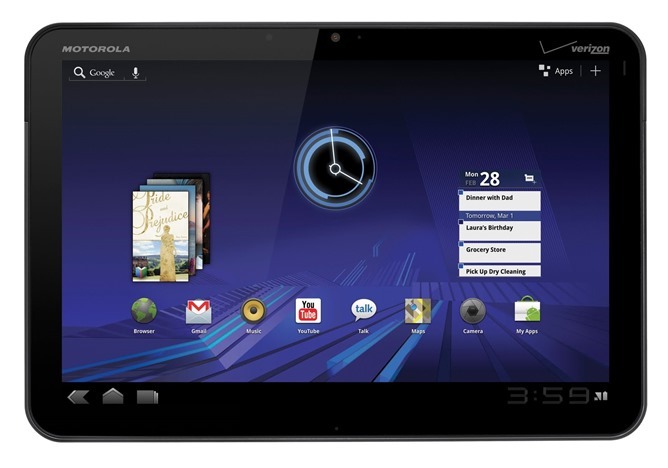 When the XOOM was revealed, I was ecstatic: here was a device clearly thought out for doing more than just smartphone tasks on a big screen. Consolidating the control functions of the user interface into a single, flexible element, not unlike desktop operating systems, was a step towards a future where tablets could not only compete with laptops, but eventually replace them, as many a would-be Techstradamas had predicted. In 2012, Google has let go of this idea, promoting the Nexus 7 and the Google Play Store in much the same way that Apple, Amazon and Barnes & Noble have: content is king, and utility is an afterthought. Not that it's impossible to do advanced functions like, say, creating a PowerPoint slideshow or editing a simple CAD document, but that's clearly not what this and other, smaller tablets are intended for. 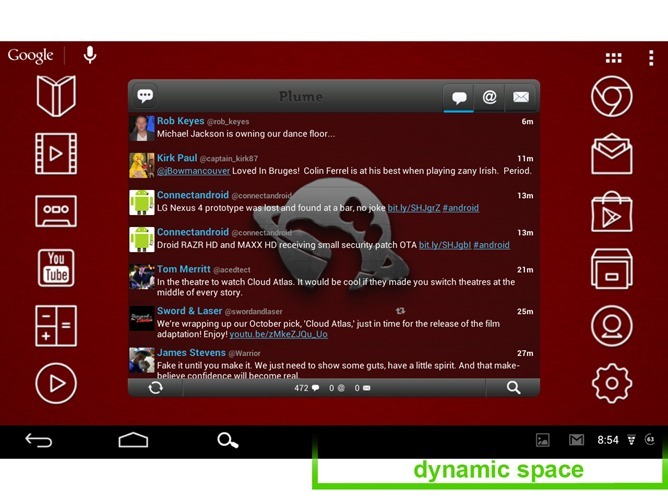 Let's examine the differences on my own Nexus 7, which I've equipped with the AOKP custom ROM, capable of manually switching between these two interfaces. 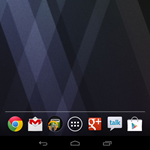 On the left, we see the "default" Nexus 7 UI, easy and comfortable to any Android phone user, but which wastes massive amounts of space on both the bottom of the screen (beside the nav buttons) and in the notification bar, which will only rarely be even half full. 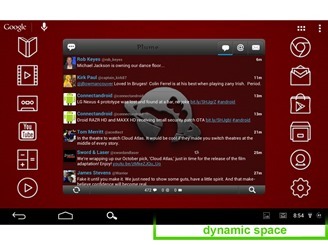 That space is put to better use in apps and on the homescreen, especially on a 10" device. What's more, accessing settings or notifications in this smartphone UI requires moving one hand to the top of the screen. 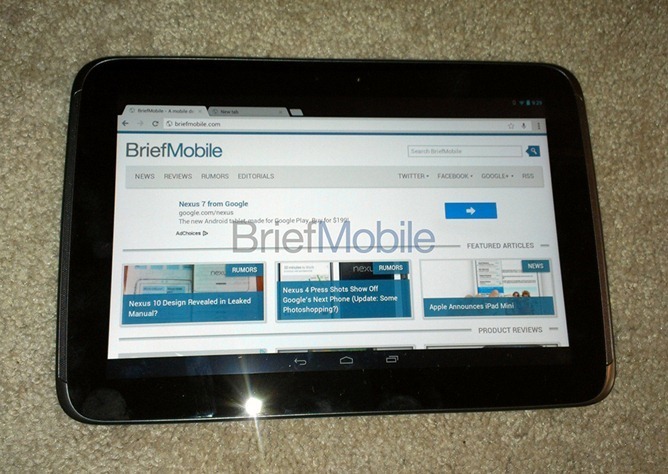 There's little to no doubt that the Nexus 10 will be revealed on Monday the 29th, with the "phone" interface on display in the recent leaks. And in all likelihood I'll buy one (or something similar) in the near future. All this speculation is a chasing after the wind. But I can't help but think that in Google's haste to be more accommodating, and indeed, more like Apple and Amazon, they're denying and delaying the full potential of tablets in general and Android in particular. Oh well, it could be worse - at least it's not Surface.